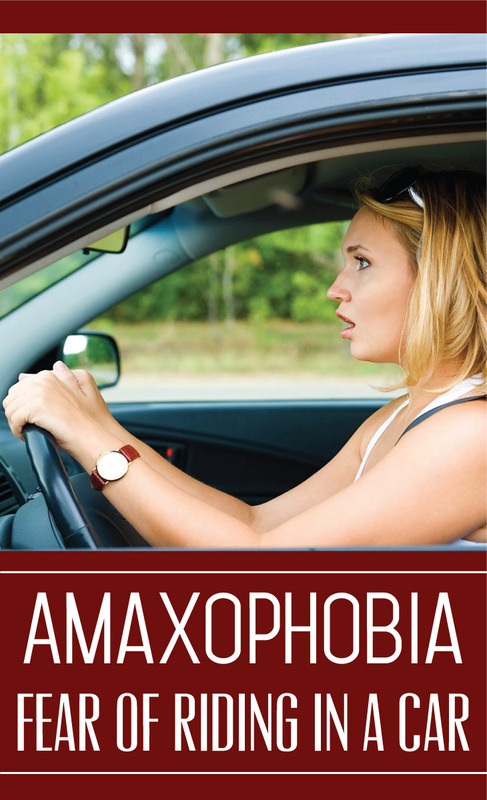 Fearing a car ride is common and is known as amaxophobia. This can become evident in Amaxophobia Causes Symptoms such as profuse sweating, shaking, confusion & loss of controlmany ways such as intense anxiety, backseat driving, or avoidance. This phobia is associated with a partial or total loss of control. When another person is driving the car, in a sense, you hand over complete control of the vehicle. As a result you get very anxious or worried about transferring your personal safety to another individual who may be a working colleague, family member, a friend or someone you do not know. Amaxophobia may be caused due to a previous traumatic event, bad experience or due to lack of healthy social exposure. As well as adults, it is found commonly in children. They have negative feelings associated with car rides which can be a result of a traumatizing past experience that can act as a potential trigger. News reports related to car accidents and crashes are also among amaxophobia causes. Gory news photos of those dead in car accidents or of the critically injured can also be a cause & further adds-up to this phobia. While some people may feel fearful only after embarking a car, some dread car photos or images and some with an extreme fear of riding in a car may even not like any mention about cars. In severe cases, increased dread can debilitate during a car ride to an extent where an individual may have fears about dying. There are many treatment options available for this disorder. One effective method is behavioral therapy. It helps retrain the person’s brain to respond differently upon facing triggers or stress brought about by the phobia. The affected person is encouraged to talk about his or her fears, which help to erase or restructure the negative perceptions & fears that keep a person from riding in a car. Psychotherapy is another approach that can aid in rooting out fears & provide relief. Medications such as anti-depressants may be used in combination with therapies for amaxophobia treatment.